There is no shortage of beautiful vintage houses in Denver, Colorado. From the quaint Tudors of Bonnie Brae to the majestic mansions in Governor’s Park, the styles of vintage houses are varied as they are visible. If you own one of Denver’s antique beauties you may already have stained glass or maybe you are thinking about putting in the custom stained glass to match your house’s existing charm. Whatever your stained glass needs for your home, Denver Stained Glass is Colorado’s stained glass expert of choice and can help you with stained glass repair or installation that will last for decades to come. Antique glass repair is a delicate art form. At Denver Stained Glass our craftsmen understand the delicacy of antique glass and treat it with cautious respect. Since antique styles often include bright colors, our selection of over 600 means we will be able to easily color match any part of your stained glass that may need to be replaced, keeping your glass authentic and beautiful for years to come. When properly restored your antique stained glass can last for the another 100 years. When looking for new stained glass to match the vintage style of your home, Denver Stained Glass should be your contractor of choice. If designing your own glass is what you are looking for, we can turn your ideas into reality, or we can work with you to design something custom but still in the style of your home. We do windows from any design period, including Art Deco, Green and Green, Art Nouveau, Shaker and more. No matter what services you need for your classic leaded glass our expert team at Denver Stained Glass is happy to help. Our local craftsmen have repaired and built thousands of stained glass pieces for more than 25 years. You can feel comfortable putting your project in our hands for quality repair, design, install or manufacturing. 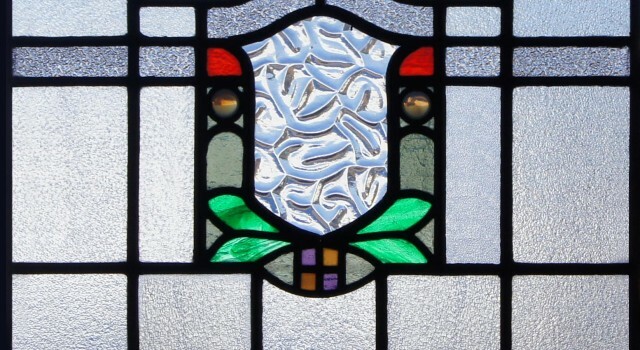 For more information on Antique or custom stained glass contact us today.